In this time of the great shift, more than ever, we need to be conscious co-creators with our health and wellness. Our bodies and nervous systems are becoming more sensitive to the energies and vibrations of our world and environments. We must be vigilant in being responsible for how we treat and nourish our sacred temples, our physical bodies. With all the toxins in the environment, unhealthy lifestyles and poor eating habits most peoples immunity is in an impoverished and weakened state. Obviously our thoughts and actions are also very important but in this article today I will be covering our physical bodies and health and wellness. 1. Boost your gut health. Your gut health is possibly up to 80% of your immunity. #2 A good amount of fiber. I like to add psyllium husk to my smoothies every day. #3 Enzymes. Your body produces enzymes to break down foods and help absorb those nutrients and minerals into the bloodstream and organs but some foods can be enzyme inhibitors so we may need some extra help with these. You can introduce enzymes into the body through raw foods such as papaya, melons, grapes, avocado, pineapple, etc. I could write a whole article on these 3 things but do the research on these things. 2. Introduce more Superfoods into your Diet. Superfoods are packed with vitamins,nutrients and minerals. They can help you eliminate disease, have more energy and lose weight. Some of the powerful superfoods are Pink Himalayan Sea Salt, Cayenne Pepper, Walnuts, Eggs (preferable free range and organic), apples, Salmon, acai juice, goji berries, avocados, spinach, brown rice, black beans, broccoli sprouts, tea, shiitake mushrooms to name a few. I like to add a Supergreen power to my smoothie every day for an extra boost of vitamins and minerals. Eat more whole foods and you will become whole again. Some superfood supplements you can take to boost your immunity are oregano oil, bee propolis, tea tree oil(for the skin), turmeric, and black pepper. is a colloid consisting of silver particles suspended in liquid. Silver is known to be a powerful and natural antibiotic. there is a lot of conflict on opinion on the web about colloidal silver and its health benefits. you will have to do the research on this one. there are many claims about the health benefits of colloidal silver. It is fairly cheap to produce your own CS and many devices are being sold online that create CS. I have a device and personally consume CS myself so have had positive experiences with it. Now this is not something you want to consume everyday because the metal can accumulate in the body. But can be used every couple weeks or if you feel like you may be coming down with something. This one is really a no brainer. I think just about every health professional on the planet recommends Exercise to maintain a healthy lifestyle. this is Something you can do 3-5 days a week with great results. Just going for nature hikes for an hour or two can help boost the immunity. I like to mix cardio with weight training. Some body weight training with joint mobility and Russian Kettlebells. sunlight is good for the Soul. that is why they call it Solar Energies. Sol, Soul and Sole all come from the same origins. The best time to absorb sun directly into the skin is before noon and after 4 pm. a few of the health benefits of the Sun are helps the body to produce vitamin D, the sun light kills bacteria, may lower cholesterol, increases oxygen content in the blood and can cure depression. Meditation is a great de-stressor. You should start meditating at least 10-30 minutes per day. I have trained in Zen Meditation, QiGong and Taoist KUNLUN® System practices. Most meditations focus on sitting still and focusing on the breath. Taking slow, deep and conscious breaths while sitting still and a relaxed straight spine. In Taoism we also have the practitioner keep a light smile on their faces. I also recommend going out by yourself into nature and find a quiet place in the woods that you won’t be disturbed especially if you have a beautiful pine forest near you. Sit under an amazing pine tree and meditate. We meditate so that we can silence our minds enough to go deep within and find the Joy and Bliss at the center of our being. What Walter Russell call “The Still White Magnetic Light at the Center of ALL Things”. The great Zen Master Bankei always taught, after his awakening, that “All things are perfectly resolved in the Unborn. Your true self is the Unborn Mind of the Eternal Pure Awareness. (MINDSET) The power of positive thinking. When it comes to overall health we have to look at what is in our consciousness. Many studies have been done that show the direct link to our thoughts and our physiology. Meaning that negative emotions and fears have a direct link to our physical condition. ie. good/positive thought sand imagery have a positive effect on our health and wellness and negative thoughts have a harmful effect on our physical health. This doesnt mean that all you have to do is think positive and you can consume all the junk and crap you want but that our thoughts are a major part of our healing protocol and process. Yes our health and healing is a process and can take time to manifest the results. This is why we need to always be learning and refining our practices. Meditation helps our to become aware of what we are thinking. Most of us are not even conscious of all the negative thinking we do. Leading brain expert Dr Daniel Amen calls this ANTS in the brain (Automatic Negative Thinking). As a survival mechanism of the brain we are “wired” to automatically think of things in a negative light, especially future events. Se me must become aware of this and make a conscious effort to transform those negative thoughts into positive ones. It is also helpful to use tools and practices to release negative emotions. I recommend learning and practicing Kunlun and also The Sedona Method, to help release negative emotions. 7. Good Sleep and Rest. I think most people have heard of the importance of a good sleep,generally around 8 hours a night. Be sure when you sleep at night unplug any technology and do some deep breathing exercises before hitting the hay. If you have trouble sleeping you can read a good book take a warm bath and use some aromatherapy like Lavender or any of your favorite smells. I like to use a nebulizing diffuser for aromatherapy. Also a Melatonin supplement has been known to help with the circadian cycles and helps with many people to get better deeper sleep cycles. Also a good herbal tea with herbs such a s St John’s Wort or Chamomile can have good results. I like to take a hot bath with 2 cups Apple Cider Vinegar and 2 cups Baking Soda. this was recommended by my Taoist teacher for detoxing and health benefits. He also says do not stay in the bath for more than 20 minutes because your body can start reabsorbing toxins after 20 minutes. Make the water as hot as you can handle or that you are comfortable with. Be careful not to burn yourself. 9. 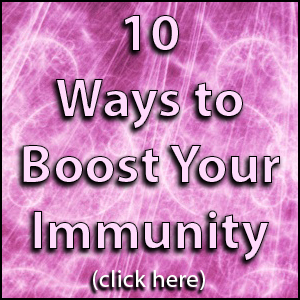 Remove harmful, immunity suppressing foods from your diet. that would be junk food such as processed sugars. One of the most harmful things you can put in your body is processed sugars and other foods with crazy additives. Sugar suppressed the immunity and harmful bacteria, viruses, fungus and yeast feed on sugar and cause the body to be more acidic. Harmful things thrive in an acidic condition. Your body/blood should be around 7.3 PH that is slightly more alkaline. Many books and documentaries have been created focusing on this topic. Last but not least we have one of my favorites…Tea!! The golden brew. Tea is an aromatic beverage commonly prepared by pouring hot or boiling water over cured leaves of the Camellia sinensis, an evergreen shrub native to Asia. After water, it is the most widely consumed drink in the world. In Taoism Tea is the Medicine. There are over 150 different kinds of tea produced from one plant. Only brew and consume teas that are loose leaf (not in a bag). the bagged teas, like lipton, are the tea scraps that fall on the floor when the tea is produced bagged up and sold to the western world. There are green teas, oolong, white, red, yellow and black teas and of course Pu Erh tea. This is a medicine that should be consumed everyday. We practice the art of Cha Dao, the five elements of tea. If you would like to come to one of my tea ceremonies and you are in Cleveland, Ohio give me a shout. Some of my favorites are 10 year Ooolong, Lady Orchid/ blue people from Aroma in San Fran. One of the most powerful of the tea medicine is the black aged tea called Pu Erh. Pu Erh is black and strong like Mother Earth. I like to consume water with Ozone introduced into it. You have buy a ozone machine online for under 100 dollars. Ozone is chemically O3 which is 3 molecules of Oxygen. When introduced into water the O3 will bond with one molecule of Oxygen with one of the existing molecules of Oxygen creating H2O2 which is basically hydrogen peroxide. Ozone water can help destroy harmful pathogens in the body and help absorb more oxygen into the body and bloodstream. You can research on the healing effects of consuming H2O2 or hydrogen peroxide online. Do yourself a favor and run out, or just go to amazon, and order a copy of Earthing: The Most Important Health Discovery Ever! This book explains how to eliminate inflammation and arthritis by walking barefoot on the Earth. Either on the grass or in the dirt. The human race really did not start getting inflammation problems until we started wearing rubber on the soles of our feet. The rubber insulates us from absorbing electrons into our bodies which help eliminate free radicals. ur bodies create positive charged cells in our bodies to fight off bacterias and viruses and once there job is done they will start to attack the host (ie. your joints) until they are neutralized by a feminine particle, ie. electrons. The Earth is surrounded by a field of electrons supplied by all the thousands of lightning bolts daily around the world. When a person was sick the Native Americans would place the person into a hole in the ground to heal. I am always learning and refining my philosophy and enhancing my daily activities for health, wealth and longevity. It does take time and consistent effort to become a healthy whole individual. This isn’t going to happen overnight so be patient and gentle with yourself and start today. You and your body will thank you for your efforts.